Rainbird 1806SAMPRS Spray Body W/Sam & Prs 6 Pop-Up. The Rain Bird 1806-SAMPRS is a 6" Pop-Up Spray Head with built-in Seal-A-Matic Check Valve and In-Stem Pressure Regulation. This spray head offers a built-in Seal-A-Matic check valve that eliminates the need for under-the-head check valves. 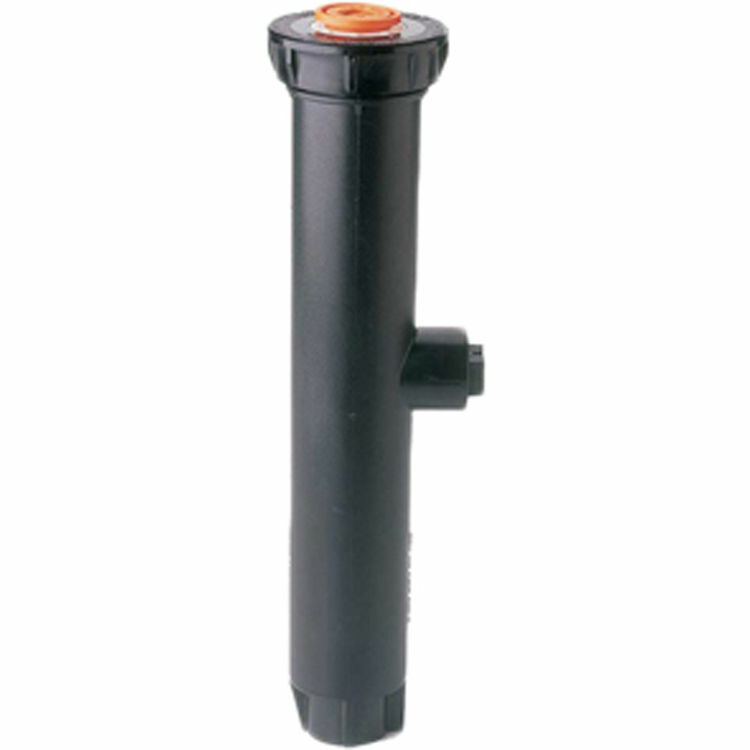 This spray head prevents drainage from spray heads at lower elevations, stops water waste, and ends landscape damage due to flooding and/or erosion. SAPRS stamped on cap for easy identification and maintenance. Pressure: 25 to 70 psi (1.7 to 4.8 bar). Restricts water loss by up to 70% if nozzle is removed or damaged. Saves water and money. Reduces possibility of accidents and property damage. Spacing: 3 to 24 feet (0.9 to 7.3 m). 3 to 18 feet with standard Rain Bird Spray Head Nozzles (MPR, VAN, U-Series). 13 to 24 feet with Rain Bird Rotary Nozzles.